Dr. Suzanne Robinson is an Associate Professor in the University of Kansas Department of Special Education and Area Coordinator of Learning Disabilities/Adaptive Special Eduation. She served as Director of the Strategic Learning Center for five years. 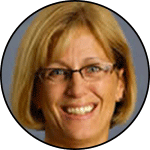 She has directed or co-directed grants, including Tiered Approaches for Improving the Writing Proficiency of High School students and Kansas High-Incidence Preparation Project(KIP) Special Education Preservice Training Improvement. She is president-elect of the Teacher Education Division of the Council for Exceptional Children, serves as book reviewer for Prentice Hall and Simon and Schuster, and is field reviewer for several publications. 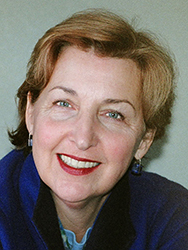 Dr. Elizabeth Kozleski is professor and Chair of the Department of Special Education at the University of Kansas. 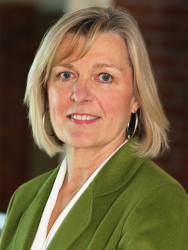 She has a long history of leading research teams and research agendas, including five years as Associate Dean for Research at the University of Colorado Denver School of Education. Currently, she directs LeadScape, a National Institute for Urban School Improvement technical assistance and dissemination center for principals in helping to build inclusive schools. Dr. Kozleski has served as PI on three five-year OSEP-funded technical assistance content centers in collaboration with university and non-government agencies. Dr. Mary Morningstar is an associate professor in the Department of Special Education at the University of Kansas and Director of the Transition Coalition. She coordinates all aspects of the KU Transition Leadership Personnel Preparation program and multiple aspects of the Secondary/Transition Masters Program at KU. Her research agenda includes evaluating secondary teacher quality and professional development, family involvement in transition planning, and interagency collaboration. She coordinates an online masters program, focusing on preparing secondary educators. Within the University, the School of Education serves Kansas, the nation and the world by (1) preparing individuals to be leaders and practitioners in education and related human service fields, (2) expanding and deepening understanding of education as a fundamental human endeavor, and (3) helping society define and respond to its educational responsibilities and challenges. To accomplish this mission, the School of Education (1) offers an extensive curriculum leading to academic degrees and professional licensure, (2) requires faculty and students to engage in scholarship, and (3) provides a wide range of professional services to schools, other institutions, and individuals.